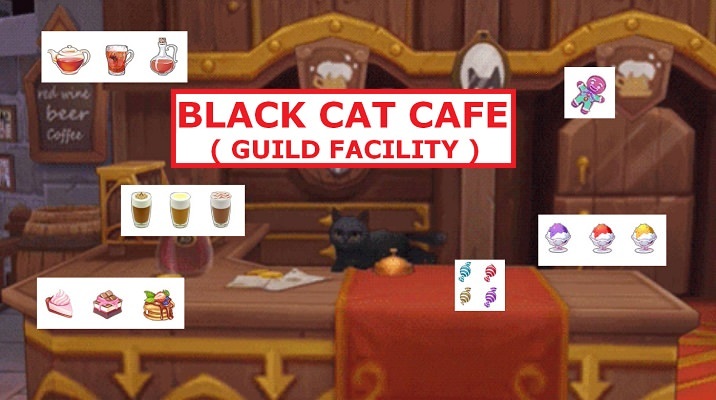 Note: Guild leader/vice-leader can talk to Cat Butler and spend 20 Emperium [华丽水晶] to unlock door to facility. Buy Rough Mithril[秘银原石], Card Praying Pack[祈祷卡片包]. Upgrade facility to unlock more items. Use [团结之证] to purchase GVG consumable items. Use Shiny Marble[闪亮的弹珠] to randomly obtain Zeny, Poring Coin, Contribution point. Can Sew/Refine[缝纫·加固] Shield, Cloak, Armor & Shoes. Can Mithril refine[秘银精炼] for headgear. – According to facility level, rewards will be giving to all guild member. – Can only build/upgrade 1 facility at a time. 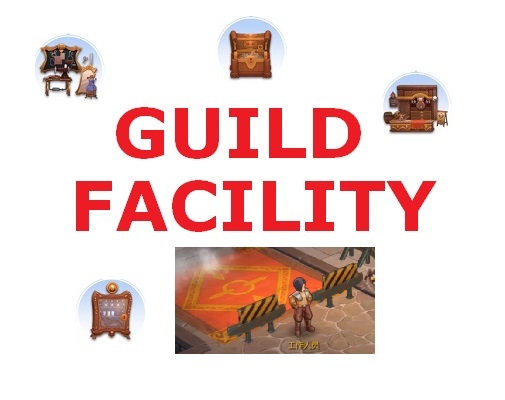 – Guild member can go to the new facility and give material to complete the facility and receive contribution point. – Guild member have daily give limit. After each material contribution, next contribution will need more material.